With this, the number of terrorists killed in the past three days has reached nine. 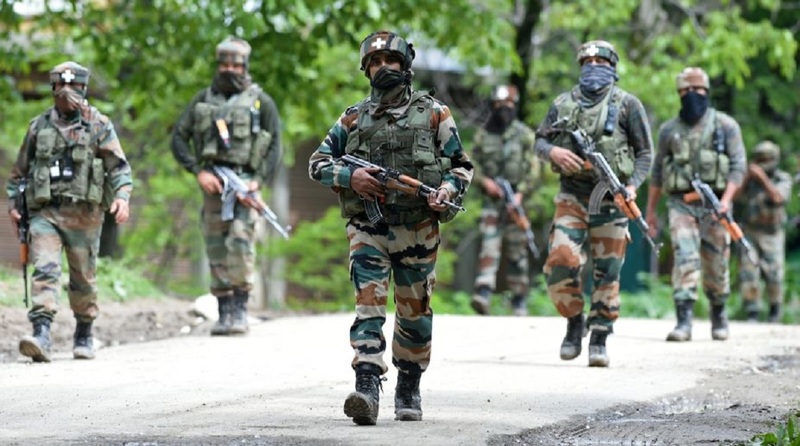 Three terrorists were killed in an encounter with the security forces on Wednesday in the Binner village of the Baramulla district of North Kashmir. The encounter started in the afternoon when a joint team of the the Army, CRPF, and J&K Police cordoned off the outskirts of the village after receiving credible information about the presence of terrorists. Identity of the killed terrorists was being ascertained and an official confirmation is awaited. With this, the number of terrorists killed in the past three days has gone up to nine.